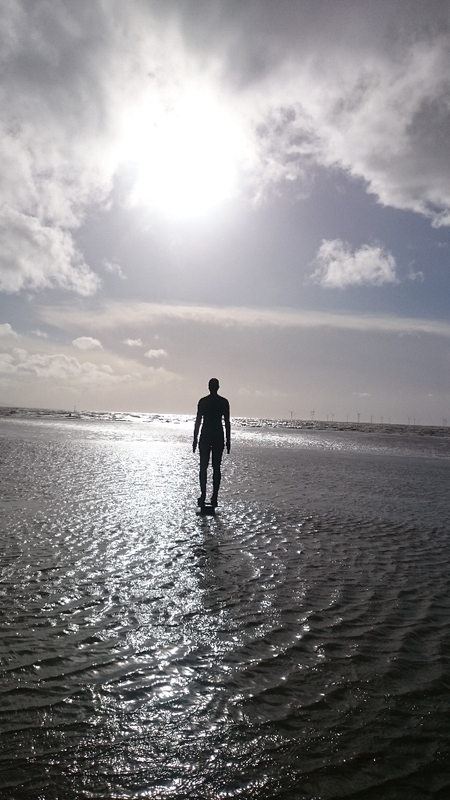 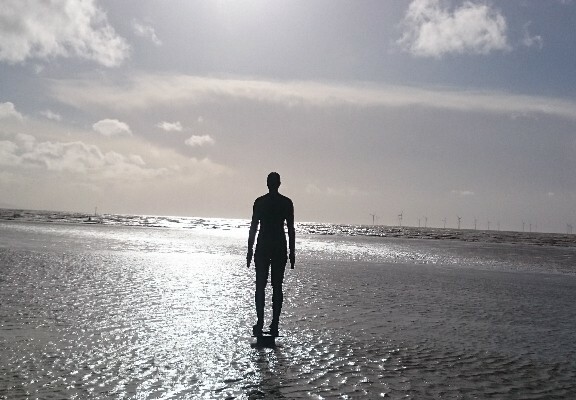 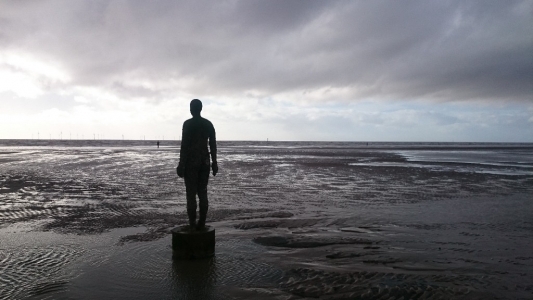 Bank holiday weekend and looking for something to do so went for a Walk along the Merseyside coast past Antony Gormley’s Another Place at Crosby. 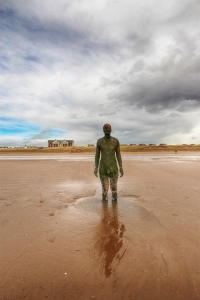 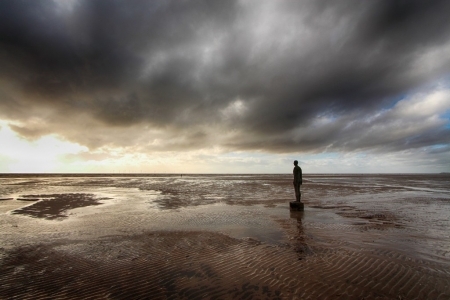 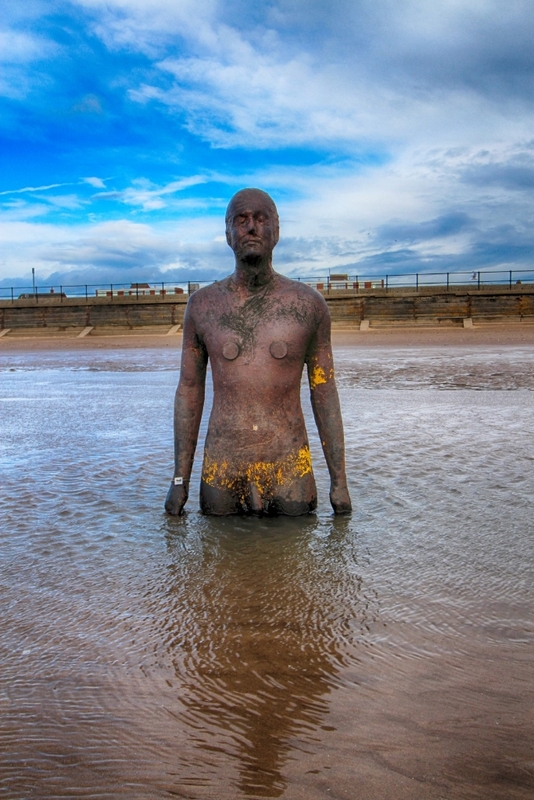 The statues are cast’s of the artist Antony Gormley made from cast iron, around about 100 of them spread out across the length of the beach and almost a kilometre down the beach. 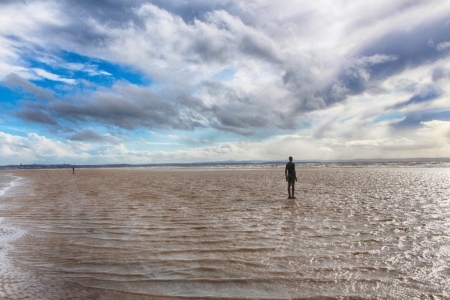 Some are only visible at low tide. To find this place you can park close by at the HM Coastguard building and car park or here at Crosby Leisure centre. 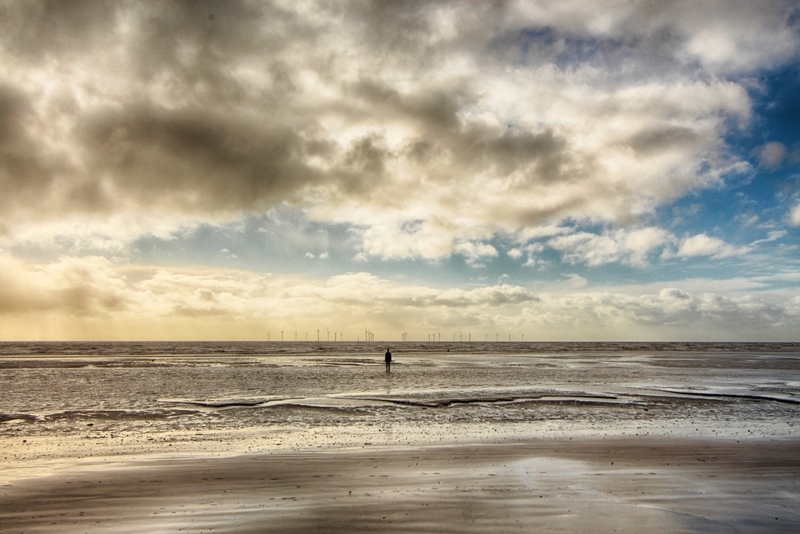 I walked down the beach having walked from Bootle Oriel train station and continued upto Formby. 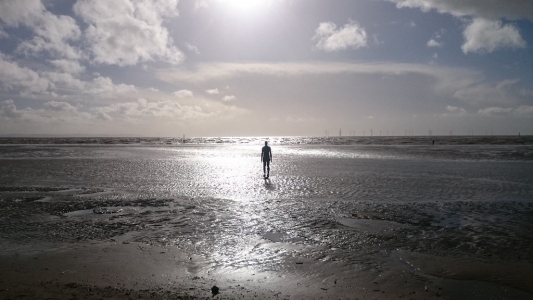 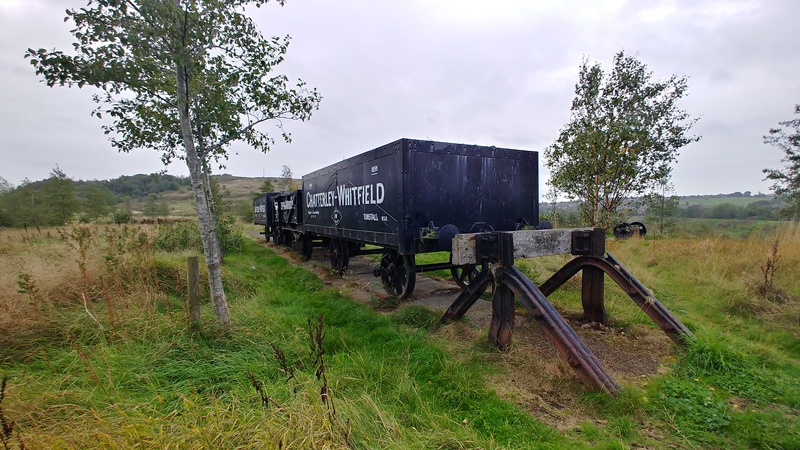 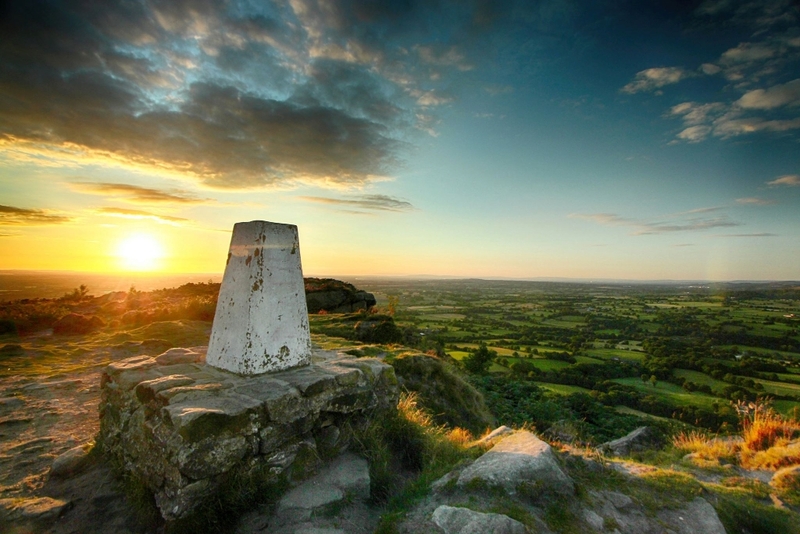 This is a great walk on a summers day but on a easter weekend it was very windy and the hail stones big enough to sting you if they hit bare skin.